All of Superior employees are committed to providing excellent, cost-effective, timely services and products. Our objective is to surpass our customer’s expectations every time. We succeed in doing so by devoting ourselves to continuous quality improvement. Success can be defined as achieving triumph through accomplishment. As one of the premier felt companies in the United States, we have defined success through a proven philosophy of being customer driven and providing quality products at competitive prices. Superior products, with dedication to our expanding customer base are just the beginning. We are focused on growth and new technologies. We value our employees, providing a family culture and a team spirit within the workplace. All of this transcends to a successful business model. Coupled with the most state of the art manufacturing equipment and the largest inventory of nonwoven textiles in North America, Superior Felt & Filtration is the clear choice for all your felt and filtration needs. Superior Felt & Filtration defines success through a proven philosophy of being customer driven and providing quality products at competitive prices. Superior Felt & Filtration is dedicated to continued growth with focus on new technology and expanding product lines. We pride ourselves on providing an excellent work culture for our valued employees and doing the best job possible in every facet of our business. 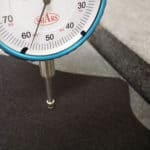 As an ISO 9001 company, Superior Felt & Filtration is a leader in the nonwoven textile industry. Our goal as a team is to service our customers the best way possible while improving our quality and capabilities, thus creating a foundation of success for the future. Frank Porto, Tom Leineberg and Joe Leineberg form Superior Felt & Filtration – Entering the market with over 70 years of combined experience in the Felt and Filtration industry focused on customer service and quality. 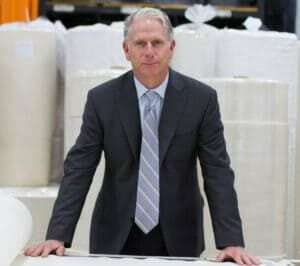 John Bader joins Superior Felt & Filtration as the Midwest Sales Manager. Based out of our McHenry Corporate office, Johns expertise also includes product development and marketing. Acquired largest competitor at the time, Hollinee Felt with a goal of becoming the largest Industrial Felt supplier in North America. Became the exclusive North American distributor of Technostat® electrostatic media from Hollingsworth & Vose. 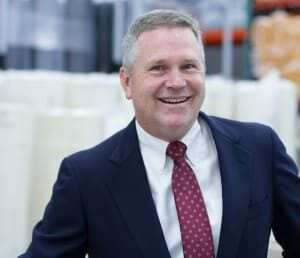 Larry Peter joins Superior Felt & Filtration LLC, as the East Coast Regional Manager. Superior Felt & Filtration expands with a new East Coast office located in Boston, MA to better serve it’s customers. Superior Felt & Filtration becomes ISO 9001 certified with a focus on providing high quality products in the nonwoven industry. Superior Felt & Filtration expands into new state of the art facility in McHenry IL and launches new logo and marketing campaign. 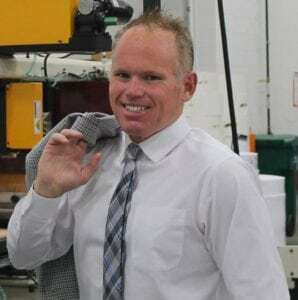 Matt Cox joins Superior Felt & Filtration, LLC as the South West Regional Manager.Matt brings a wealth of experience in the nonwoven industry to the Superior Felt & Filtration team. Superior expands with a new South East office located in Spartanburg South Carolina. Superior Felt & Filtration announces plans to build a 70,000 square foot addition to their state of the art facility located in McHenry, IL. Superior’s expansion completion puts the largest inventory of nonwoven textiles in North American under one roof. Superior Turns 15! As an industry leader in the nonwoven markets, Superior is poised to continue it’s fast paced organizational growth. To see their growth story click here. Superior Felt & Filtration LLC adds state of the art Ultrasonic Welding equipment to compliment its value added capabilities for enhanced medical filter applications. This addition continues to position SFF as an innovative leader in the medical filter manufacturing industry. Superior Felt and Filtration LLC adds new automated packaging machines to meet the growing demand for preprinted packaging. This new technology allows SFF to not only design and fabricate life saving medical filtration technology and other nonwoven solutions but now provides private label packaging to fully turnkey any project from concept to completion. Superior Felt and Filtration LLC has upgraded its singeing capabilities to better meet the growing needs of the liquid and air filtration markets. This new manufacturing upgrade provides the filtration industry with the most consistent singe available to modern needlepunch technology. James Allan joins Superior Felt & Filtration, LLC as a new Sales Manager with focus in high efficiency filtration and technical nonwovens. Formally a 30 year employee of 3M, James brings a wealth of experience and knowledge to the Superior Felt & Filtration team. With this exciting addition, SFF opens its fourth location in Minneapolis, MN. Hollingsworth & Vose is a partner of Superior Felt & Filtration. We are the exclusive North American distributor and Worldwide partner of Hollingsworth & Vose’s Technostat® line of Tribo Electrostatic filter media.